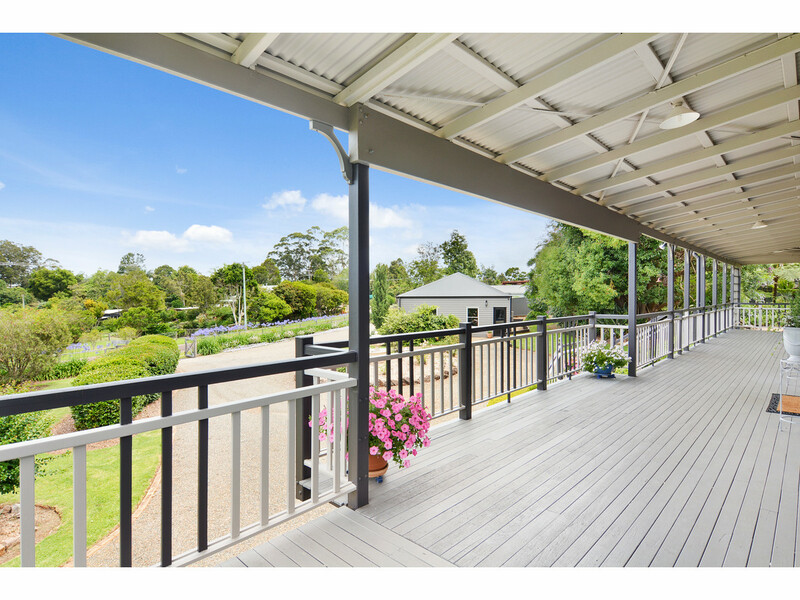 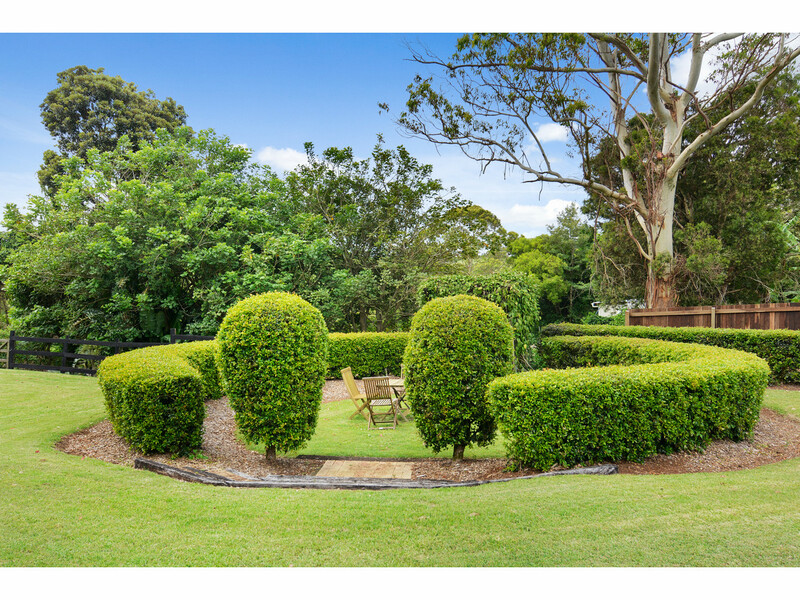 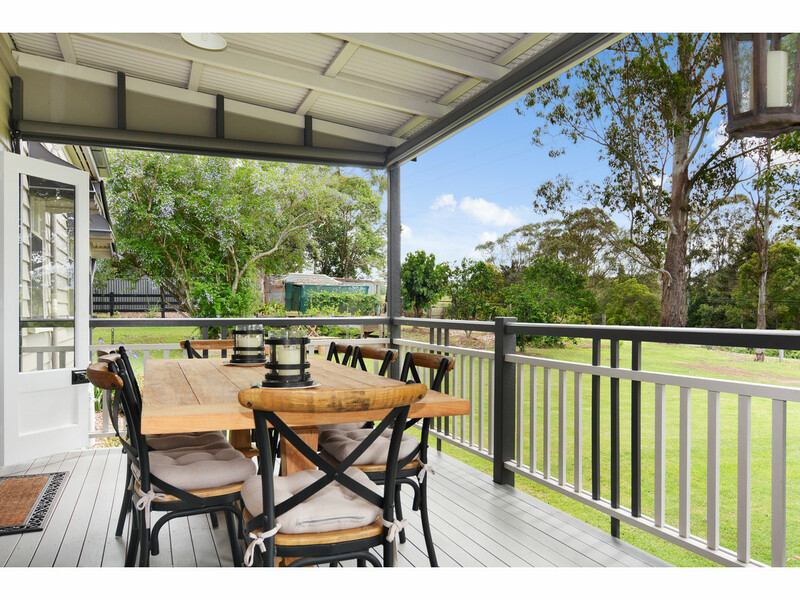 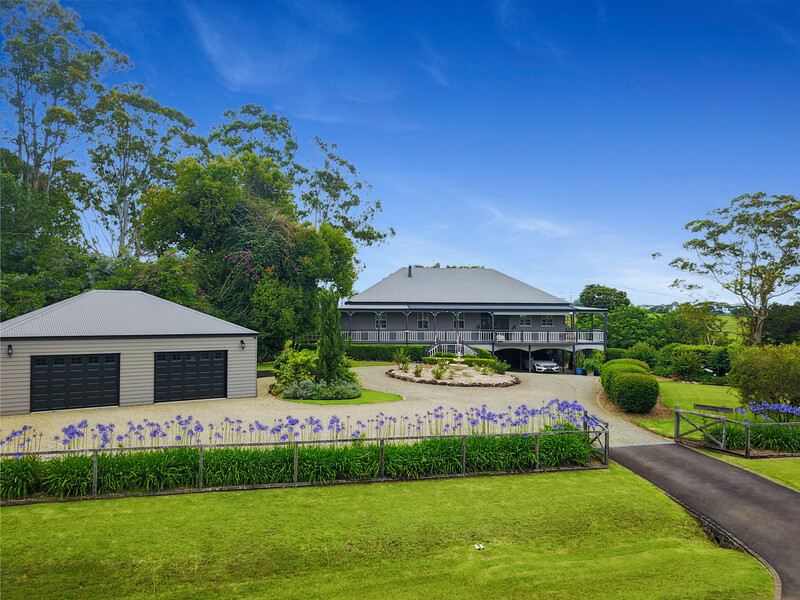 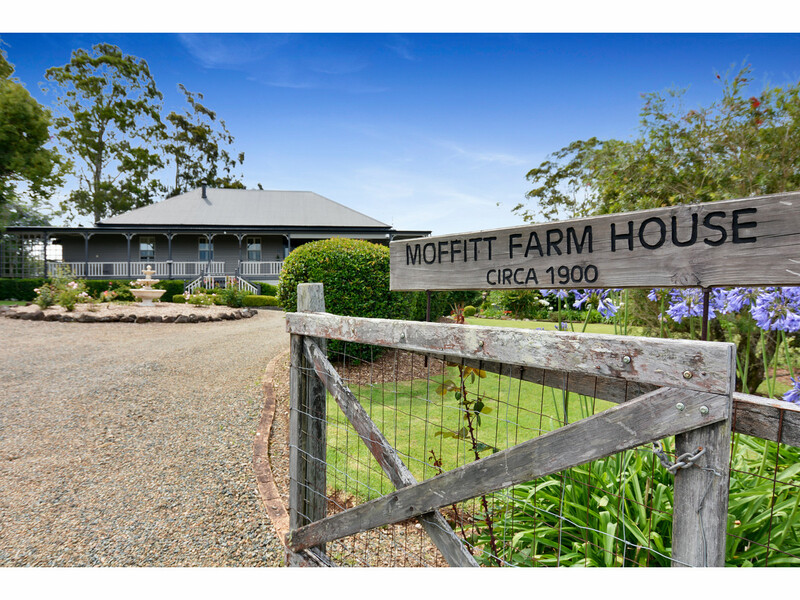 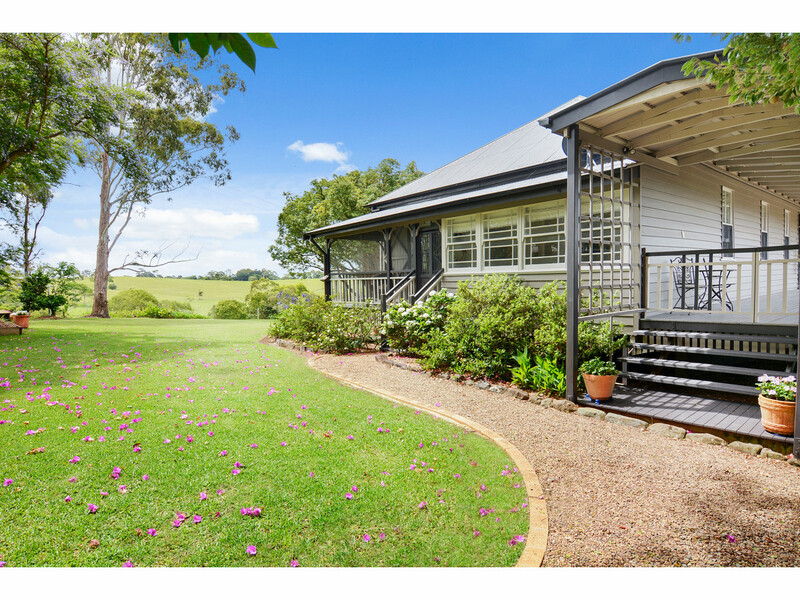 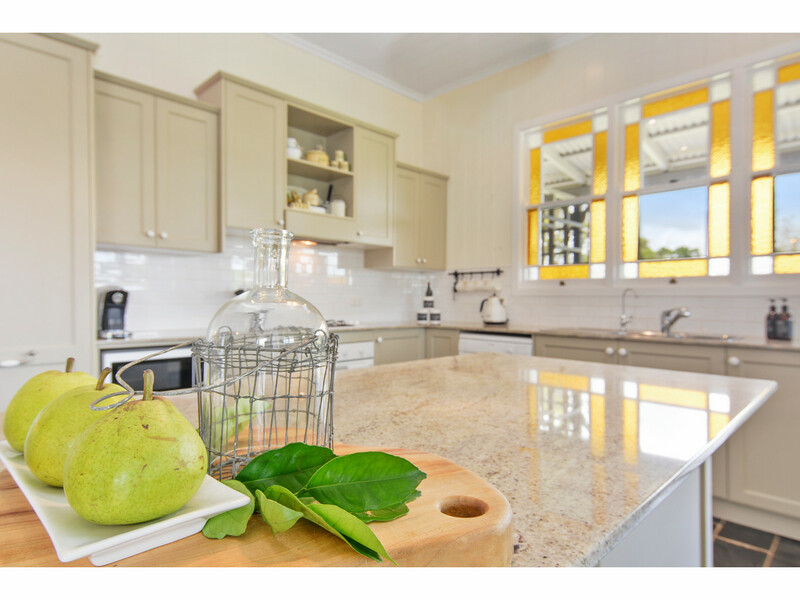 The original Moffitt Court farmhouse is a superb circa 1900 country Queenslander occupying a prestigious and elevated position on Moffitt Court, just minutes from the Maleny township. 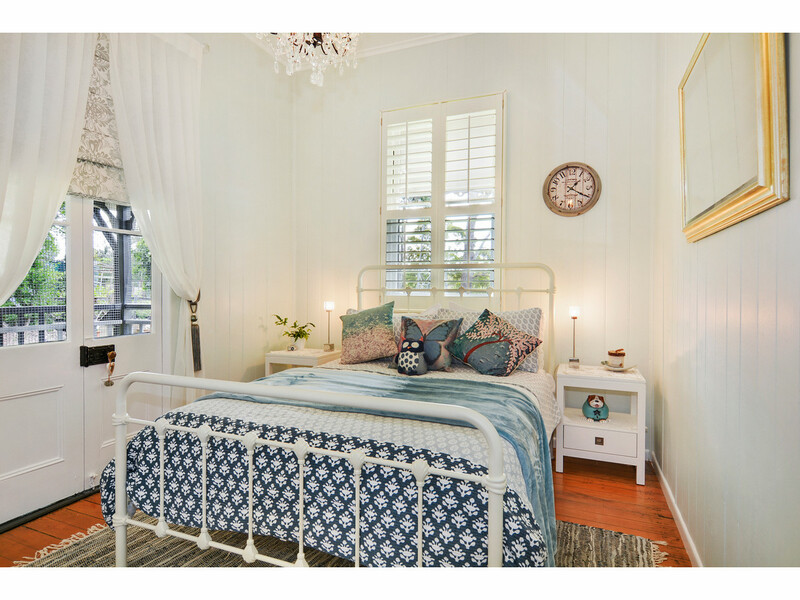 Designed to incorporate modern french colonial influences mixed with the rich history of the home, this traditional country residence combines a perfect blend of elegant living, country charm and the classic style reminiscent of yesteryear. 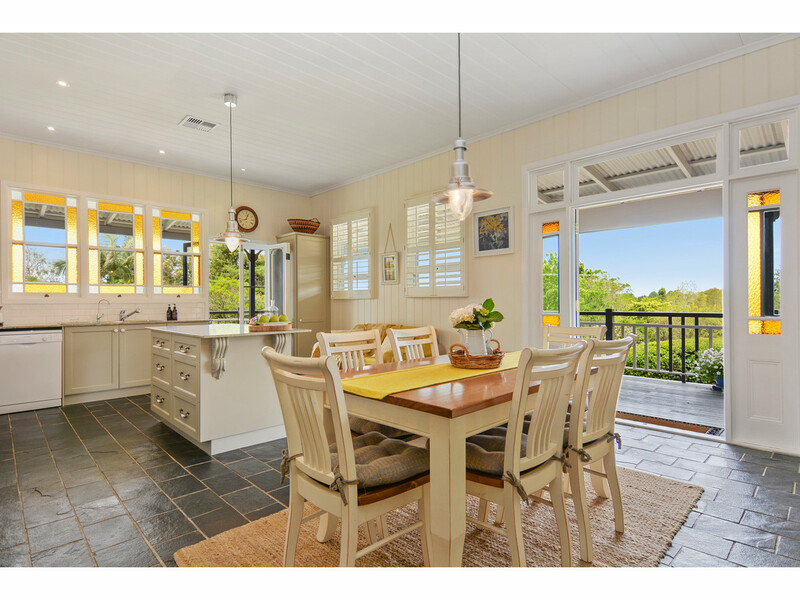 Originally built by a local family circa 1900, then extended in 1999, the home has recently been restored with tasteful period pieces and luxurious contemporary finishes throughout. 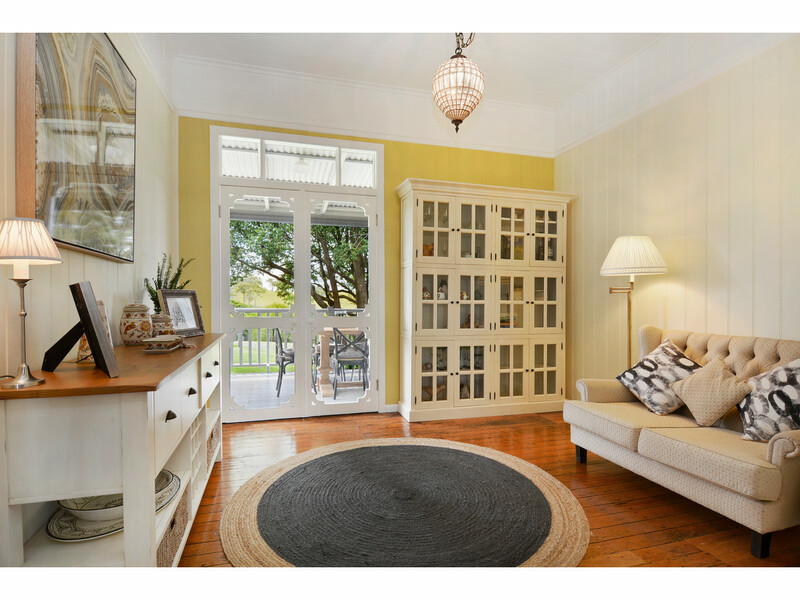 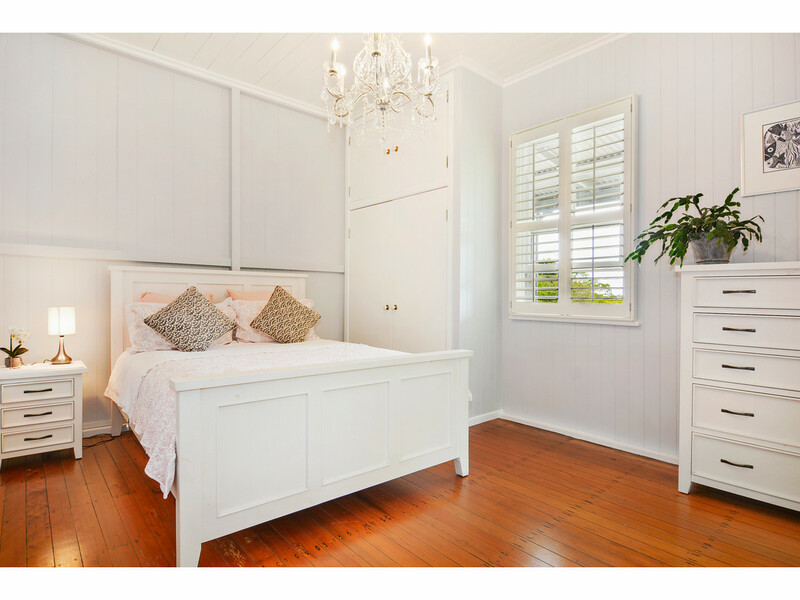 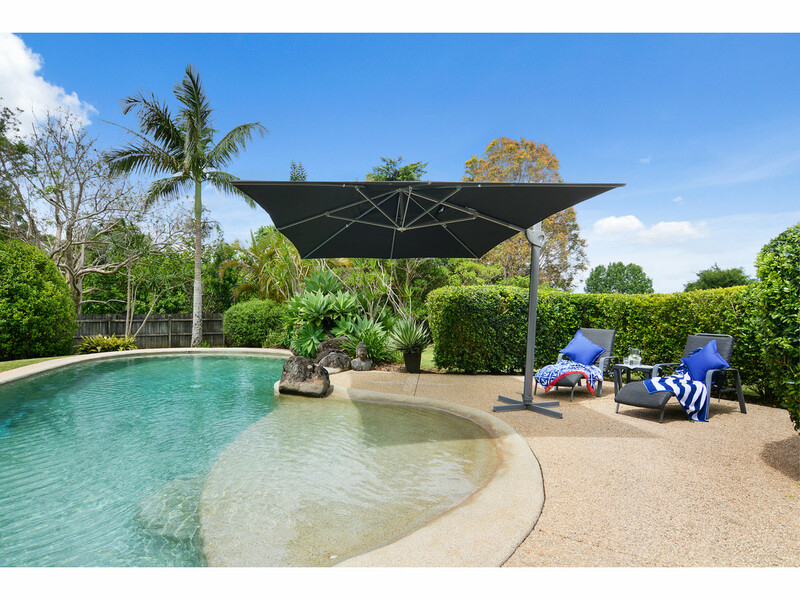 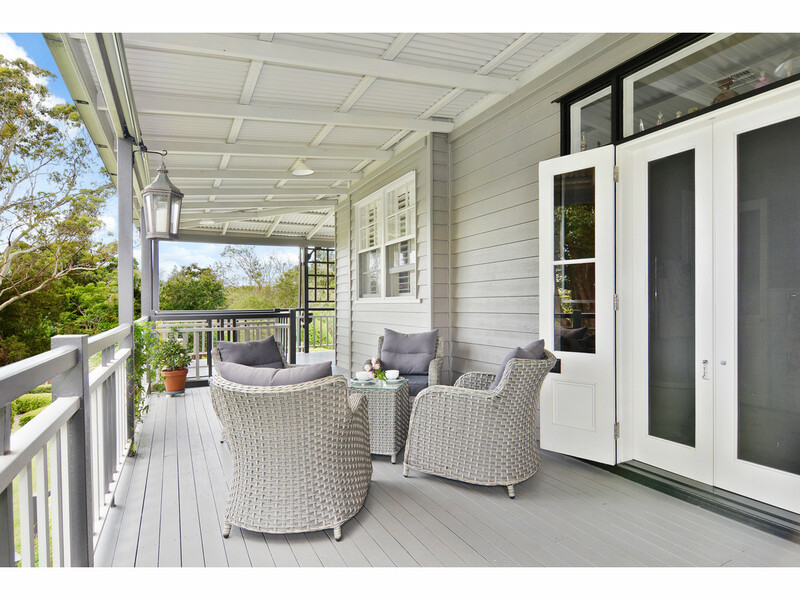 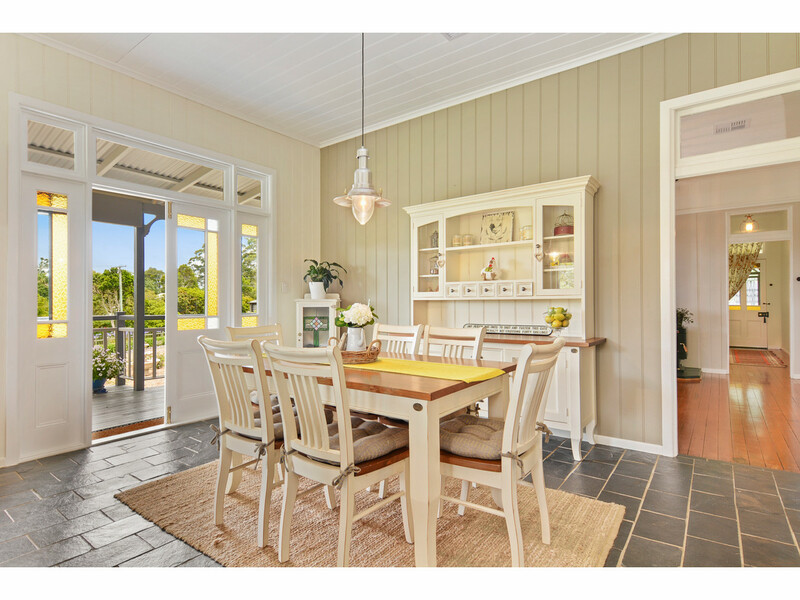 All of the traditional Queenslander characteristics have been preserved including polished timber floors, french doors, soaring ceilings and expansive wrap around verandahs. 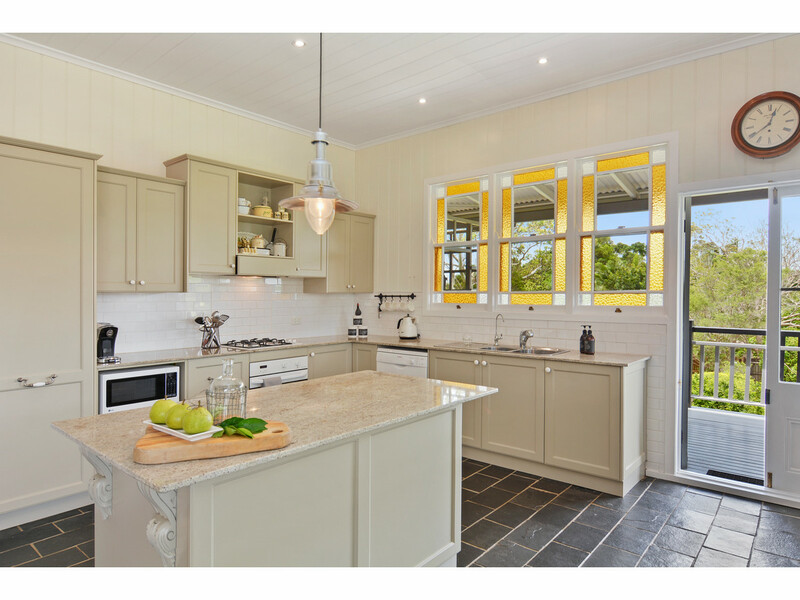 The magnificent country-style kitchen is complete with a gas cooktop, granite bench tops, soft-close drawers and plenty of storage space. 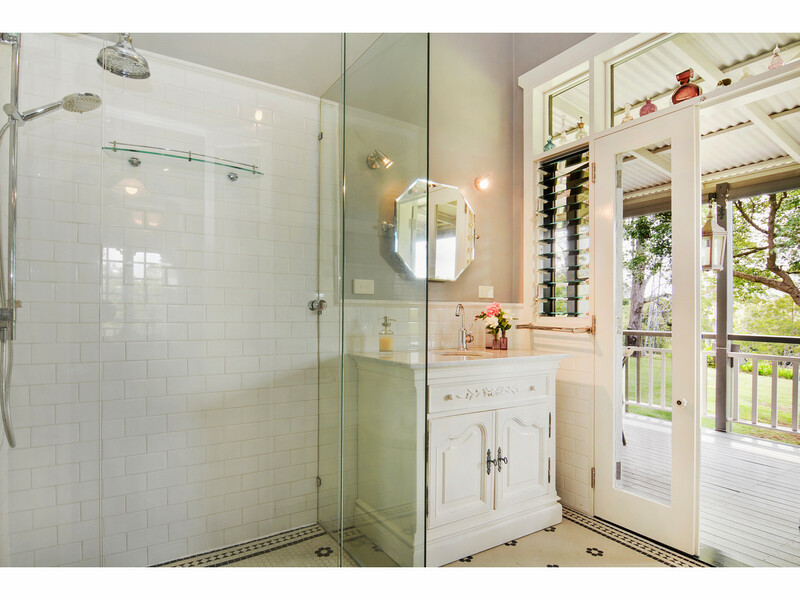 Both bathrooms also feature lovely granite vanities with a stunning claw-foot bathtub in the main. 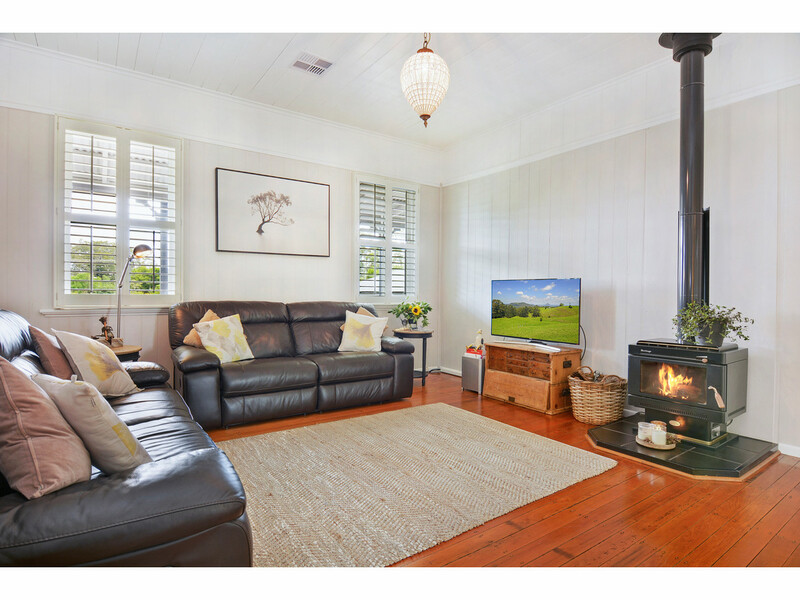 There is absolutely no shortage of living space with a spacious lounge with fireplace, additional study/fourth bedroom as well as wrap around verandahs. 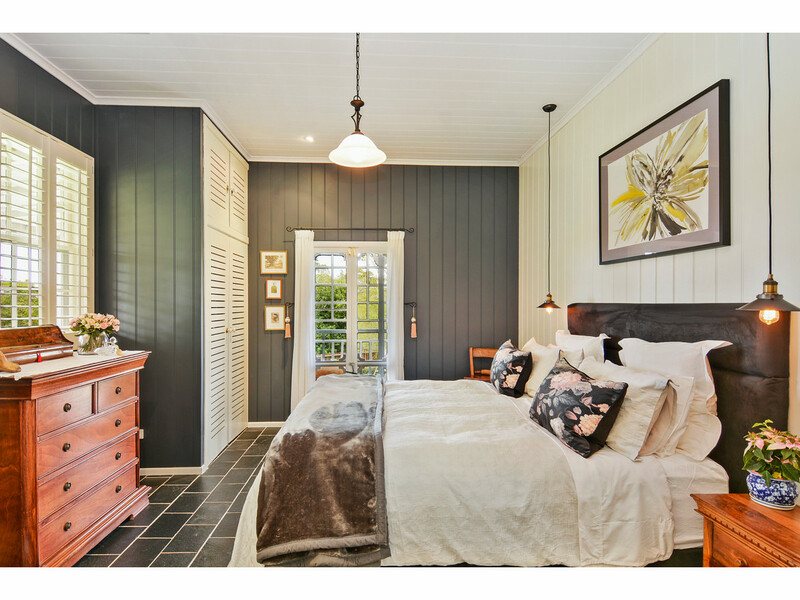 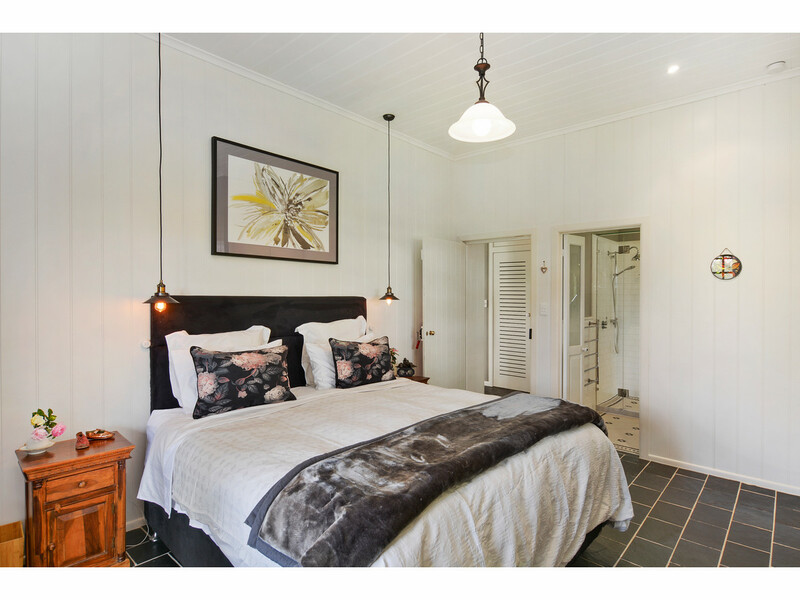 There are three spacious guest bedrooms, all with verandah access, plus a generous master suite with ensuite. 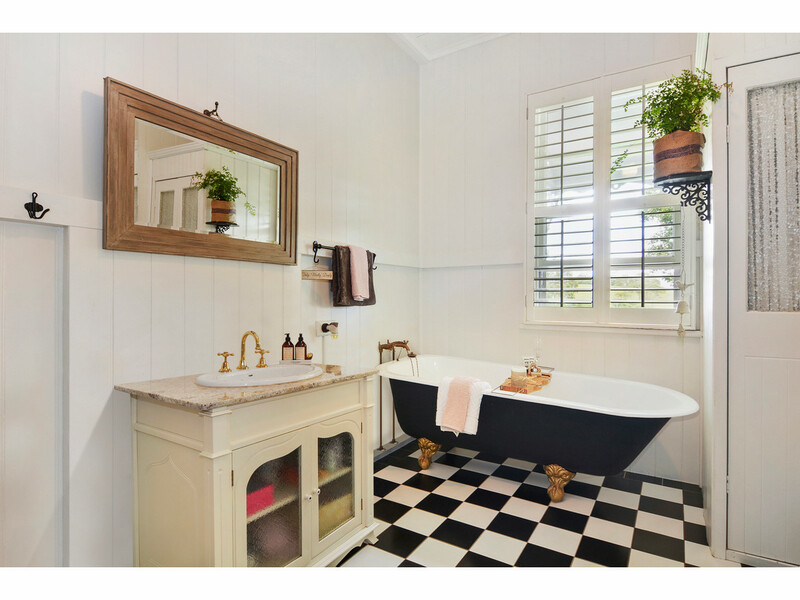 * Main bathroom enjoys stone vanity and a stunning claw foot tub to soak in on a winters evening! 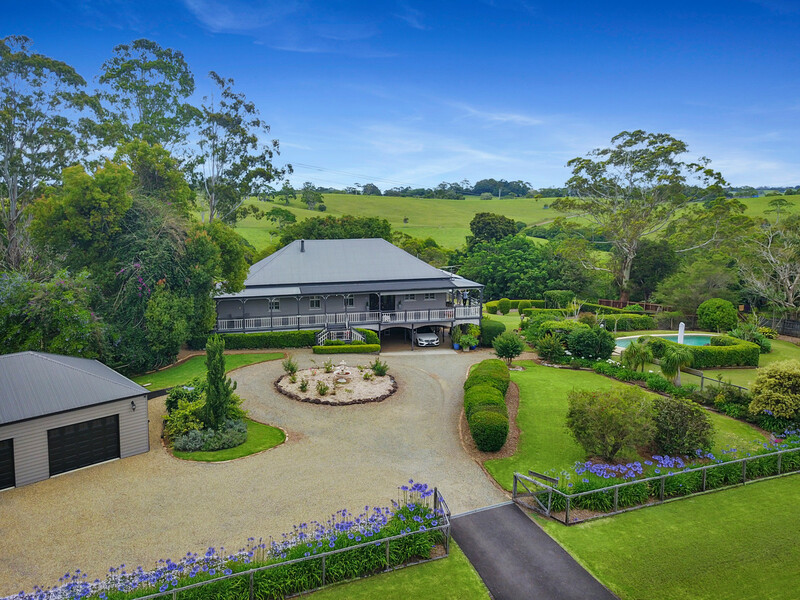 This is the ultimate Hinterland package! 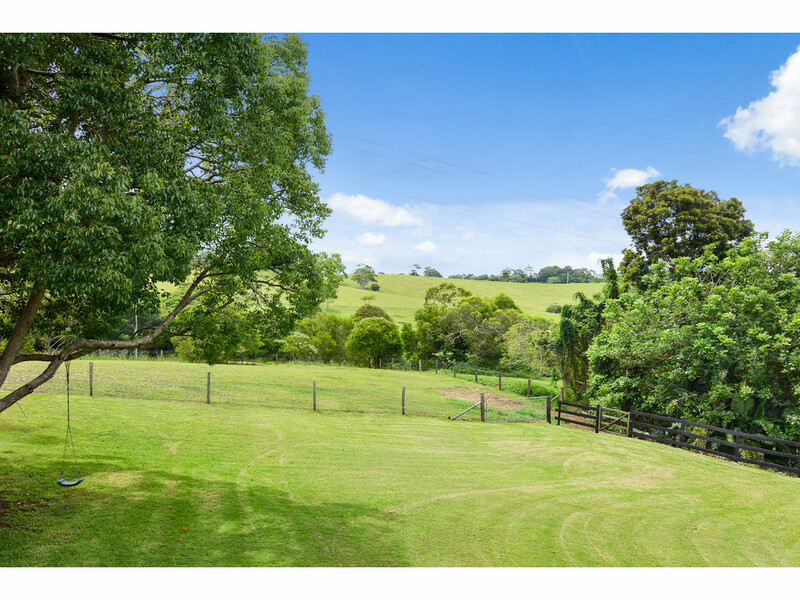 Contact RE/MAX Hinterland for further details or to organise your inspection.